Accidentally hitting a pedestrian with your car is one of the worst situations you could ever encounter as a driver. As long as you’re a safe driver, this terrifying scenario will likely never happen to you, but it’s still a good idea to be prepared for the worst. Although you can learn the proper steps to take, nothing can prepare you for the terror and regret you will feel if you hit someone. It’s easy to say that you would never hit and run, but many drivers panic and take off without even thinking of the consequences. It’s very important that you do not do this. It doesn’t matter if the person you hit is alive or dead. If you leave the scene, the end result will be much worse for you. Turn on your emergency flashers, shut off your engine and get out of the car. The person you hit could still be under your vehicle, and if you attempt to move without first getting out and checking, you could potentially kill him or her. Instead, get out and immediately dial 911. It’s important to get an officer and ambulance on the scene as soon as possible. Depending on how fast you were going, the pedestrian may have been thrown a lengthy distance away. First, check to make sure that he or she isn’t laying on the road and in danger of being hit by other cars. Next, begin looking around the side of the road, in the brush and down any embankments that may be in the area. When you locate the pedestrian, see if you can get him or her talking and ask what hurts. You will still be on the phone with the 911 operator at this time, so describe the injuries in as much detail as you can. If the injuries are severe, try your best to be comforting and let him or her know that help is coming. After a few minutes, the ambulance should arrive and the EMT team will take over. At this point, it’s time to talk to the police. Give the officer all of your information and do your best to describe exactly what happened. Include how fast you were going, which direction the victim came from and any other details you can remember. It’s also important to get the information from the pedestrian, but if he or she is too injured at the current time, you may have to take care of it later. Write down the name of the pedestrian you hit, the name of the officer on the scene, the names and phone numbers of anyone who witnessed the accident and any other details that you notice. 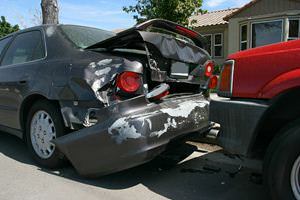 If you have a smart phone on you, take pictures of the accident scene and record conversations with witnesses. The more information you have, the better you will be able to help yourself if the incident goes to court. Depending on how seriously you injured the pedestrian, you may need to hire a lawyer after the crash. Even if the injuries were not severe, you should still prepare yourself to be sued. Hiring a good criminal defense lawyer is the only way to ensure that you aren’t unfairly blamed for what was truly an accident.